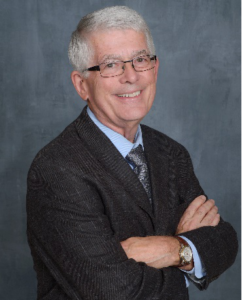 Mr. Richard Morgan has over 40 years of management, planning, program design, implementation and marketing experience in the energy field. As president of Morgan Marketing Partners, established in 1995, he helps utilities and energy organizations throughout the U.S. with their marketing and program design challenges. Services provided include program design, cost effectiveness modeling (using DSMore), strategic marketing consulting, energy savings database development, re-engineering and redesign of existing programs, expert testimony, implementation/operations assistance, new product and service development, management assistance, evaluation/assessments of existing programs, and development of energy efficiency plans to increase and improve program results. His clients vary from some of the largest utilities and energy companies/organizations in the country to small Municipal utilities including Duke Energy, California Public Utility Commission, Consumers Energy, Detroit Edison, Energy Trust of Oregon, PSE&G, Northeast Utilities, Kansas City Power & Light, Jackson EMC, Rochester Public Utilities, MidAmerican Energy, Hawaii Electric, Missouri River Energy Services, Northwest Energy Efficiency Alliance, the State of Indiana and Wisconsin Focus on Energy. Mr. Morgan also has helped various non-energy companies with their marketing planning including Honeywell and Mitsubishi. Prior to starting his own company, Mr. Morgan spent four years as a manager and consultant with A&C Enercom, a leading energy services and consulting company. He was also Marketing Manager for EWI Engineering, a 100-person engineering consulting firm. Before joining EWI Engineering, Mr. Morgan spent over 11 years with Wisconsin Power & Light Company in their marketing department. He held numerous positions managing many different services including residential services, commercial and industrial gas services, demand-side management programs, low-income programs, and marketing/sales initiatives. Within his various positions his responsibilities included program planning, evaluation oversight, new product/service development, program design, market research, advertising/promotion planning, implementation and operations management, budgeting, tracking, training, government interface, sales, field customer service support, quality control, and business center operations. Prior to the utility, Mr. Morgan worked for the Oregon Department of Energy and the Western SUN, a federally funded regional solar center. Mr. Morgan holds a B.S. in Resource Management from Ohio State University, School of Natural Resources. He is the Past President of the American Marketing Association, Madison Chapter, and a past Board Member and VP Business Development for the Association of Energy Services Professionals. Mr. Morgan is also a past board member of the Midwest Energy Efficiency Alliance. Mr. Morgan has published many papers and articles on energy and marketing. Mr. George Phillips has over 50 years of management, planning, program design, implementation and marketing experience in the energy field. He has been involved in all aspects of serving utility customers his entire career. Mr. Phillips joined Morgan Marketing Partners (MMP) in 2008 as Senior Consultant, providing direct support to utility and regulatory clients for the planning, designing and implementing cost effective energy efficiency and demand response programs. These support services include strategic planning, financial analysis for each program to determine cost effectiveness and utility revenue impacts, expert witness testimony, and implementation and operational assistance. 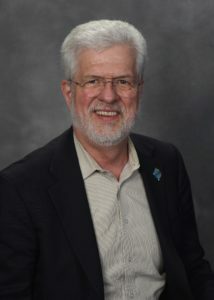 He has led multi-utility collaboratives in the US and Canada to assist in achieving their energy efficiency program objectives. Mr. Phillips has directed the complete range of energy efficiency management from initial planning to supply integration, from detailed program and marketing design to program launch, from pilot program to full-scale deployment, and from evaluation planning to detailed regulatory plan review. He has managed collaborative initiatives of multiple stakeholders including utility supply management, customers, trade allies, community leaders, environmental support organizations and regulatory staff and commissioners. Mr. Phillips has directed the development of major energy efficiency initiatives in six states and Canada. He has prepared and presented regulatory testimony in support of energy efficiency and demand response programs, responded to data requests and written and submitted program and product tariffs. He has worked with legislators and regulators in Michigan, Illinois, Texas, Iowa, Missouri, Arkansas and Kansas. Prior to MMP, Mr. Phillips spent 5 years at Kansas City Power & Light (KCP&L) managing the planning, detailed design, implementation and evaluation of energy efficiency and demand response programs for all markets. Before KCP&L, he joined MidAmerican Energy Company to plan, design, implement, and evaluate new electric and gas energy efficiency programs for all customer classes. Throughout the remainder of his career including 22 years with American Electric Power, Mr. Phillips has developed knowledge and experience in competitive electric retail sales, all aspects of customer service and engineering design. He has significant understanding of the electric power supply industry and the opportunities for providing support for supply resources through energy efficiency and demand response programs. Mr. Phillips holds a B.S. in Electrical Engineering from Purdue University, an MBA from Ball State University, and is a past Board Member for the Association of Energy Services Professionals. He has written position papers, made numerous presentations and presented case studies at state regulatory forums and national conference on energy efficiency and demand response topics.